Owner Financing available. 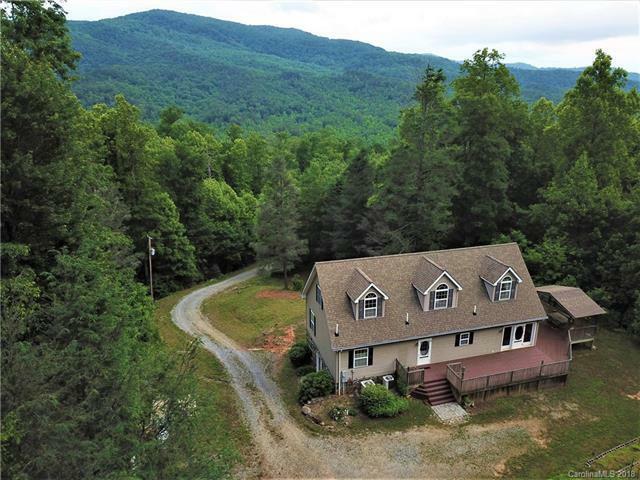 This home could be your personal mountain retreat. With views of the mountains off the front deck and a rock face cave located approx. 100 yards behind the home, it has all of the peaceful and serene seclusion you could ask for. This 3 bedroom home was built in 2003 and features a large master suite, a spacious living room, dining room, and a large kitchen with hickory cabinets, walk-in pantry, and stainless steel island on the main level. The upper level features 2 spacious bedrooms which are connected by an open concept office (which can be used as a sitting area.) The interior of the home is trimmed in native solid oak trim, has gorgeous 6-panel oak doors throughout, and 3 Gas Log fireplaces (2 are stone-faced). The exterior walls are all 2"x 6" for energy efficiency. The home also features a 1500+ Sq Ft deck with a covered outdoor living room/pavilion. Additional Acreage Available. NO HOA DUES. Broker/owner.